Today we have awesome news to share with you. About two hours ago we received our latest Ockel Sirius A prototype! Without further ado, here is a first look. The PCBA, 6’’ LCD screen, speakers and microphone, touchscreen module and WiFi ac are successfully integrated and functional. The prototype also includes the battery. The results of the WiFi, HDMI output and battery performance are promising. We will test all integrated features (both hardware and software) extensively in the next weeks. To improve both the speed as well as the reliability of testing, a second copy of this prototype is currently being finished, so next week we’ll have two Ockel Sirius A’s in the house! The next prototype, also known as engineering validation sample, will include all the IO’s and improvements based on the current prototype model. We aim to create no less than 20 (that’s right, 20!) of these engineering validation samples. Both Microsoft and Intel will examine and validate these samples as well. We also would like to share with you that we are still working on a new product and delivery timeline for the Ockel Sirius A. We expect to be able to share a more detailed timeline within 2 weeks. 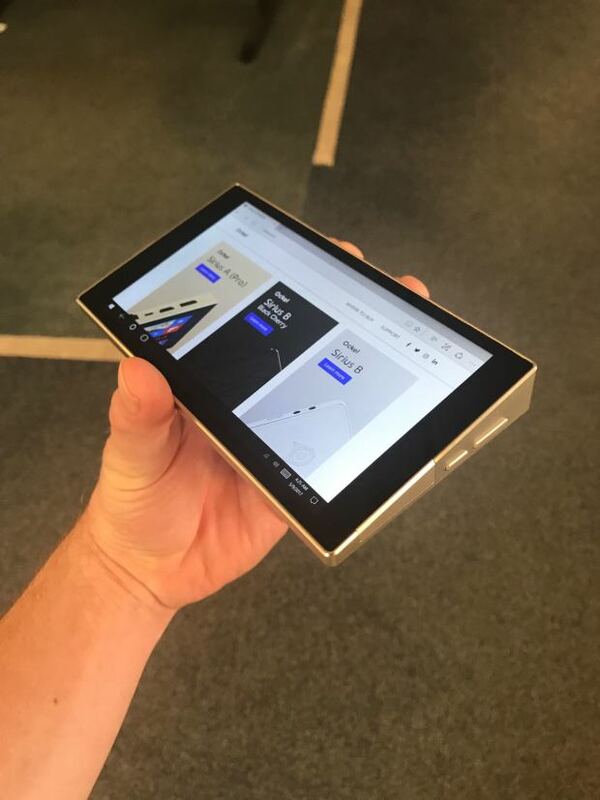 We hope that you are just excited about this prototype as we are and can’t wait to share more detailed test results with you soon!